A quintet of new works by architect Robert A.M. Stern are making their mark on various parts of Manhattan, all with his signature style. 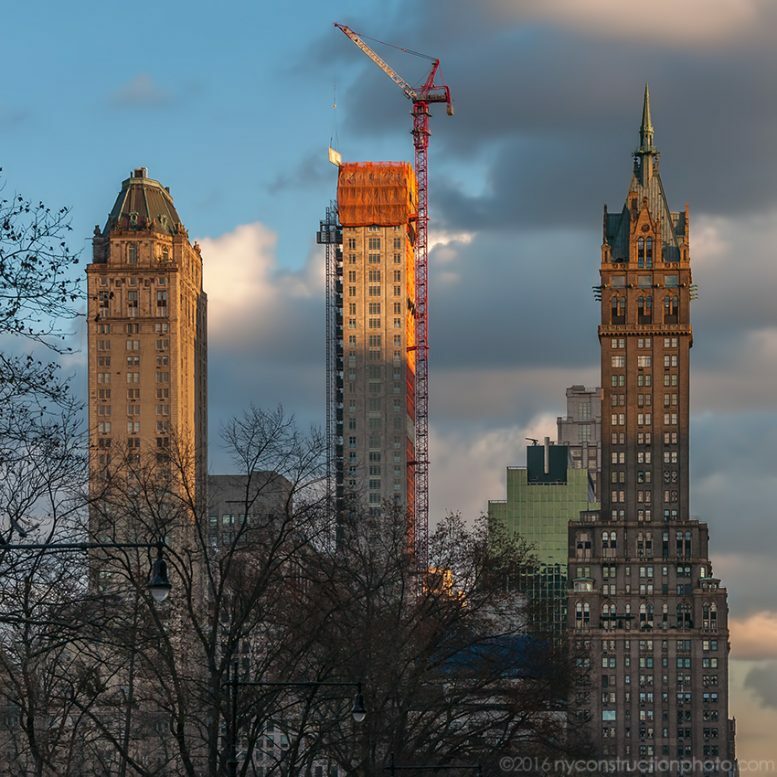 70 Vestry Street is in the early stages of construction; 30 Park Place, which includes the Four Seasons Downtown hotel, opened its doors in October; 20 East End Avenue could open this year; and 220 Central Park South is on the rise adjacent to Billionaires’ Row. 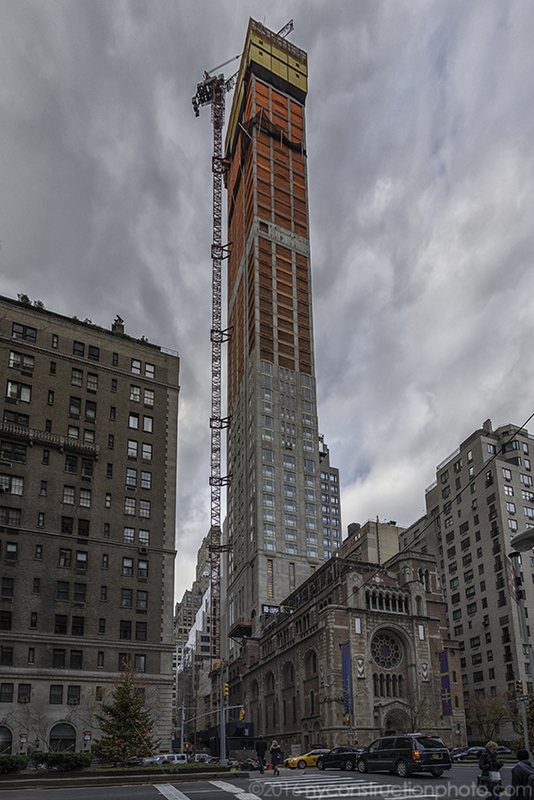 Today, we check in on his skyscraping residential building at 520 Park Avenue. The site is located on East 60th Street between Park and Madison avenues, in the Lenox Hill section of the Upper East Side. When YIMBY last checked in on the development in August 2016, it had risen nearly 30 stories. 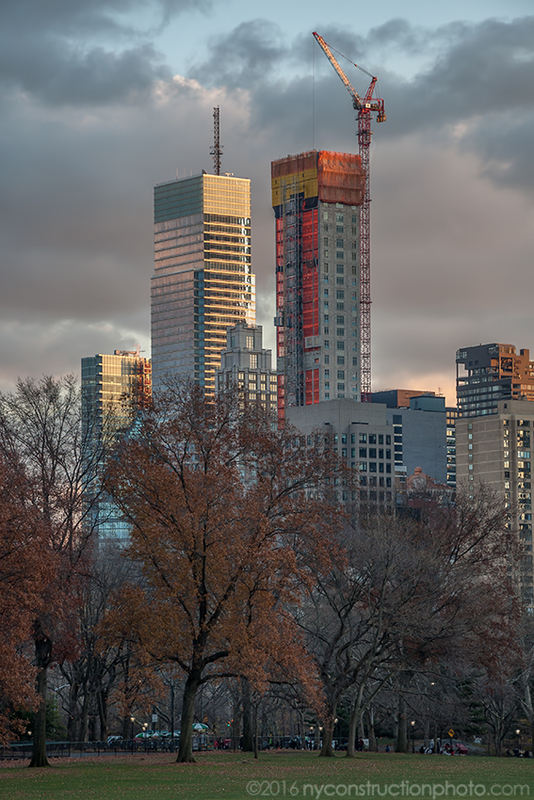 Now, as seen in photos taken this week and posted to the YIMBY Forums by user ILNY/nyconstructionphoto.com, it has almost topped out. 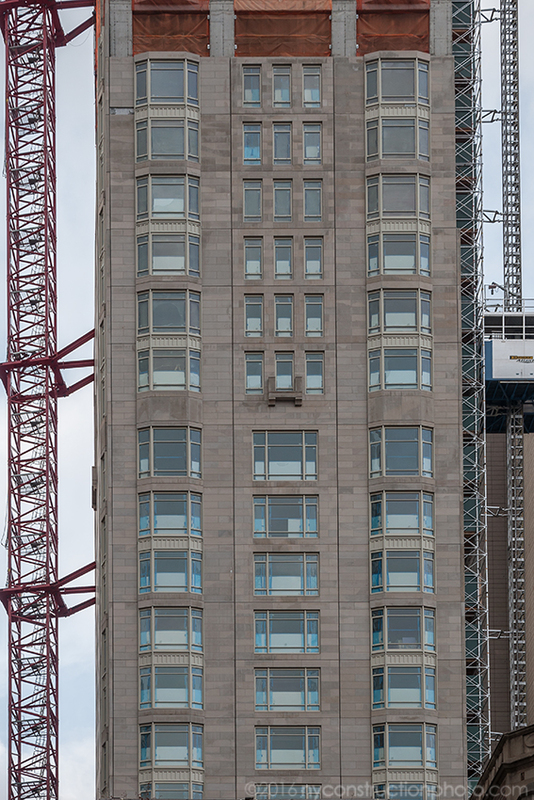 Façade installation has also nearly reached the top on at least one side. 520 Park Avenue. Rendering via teaser site. 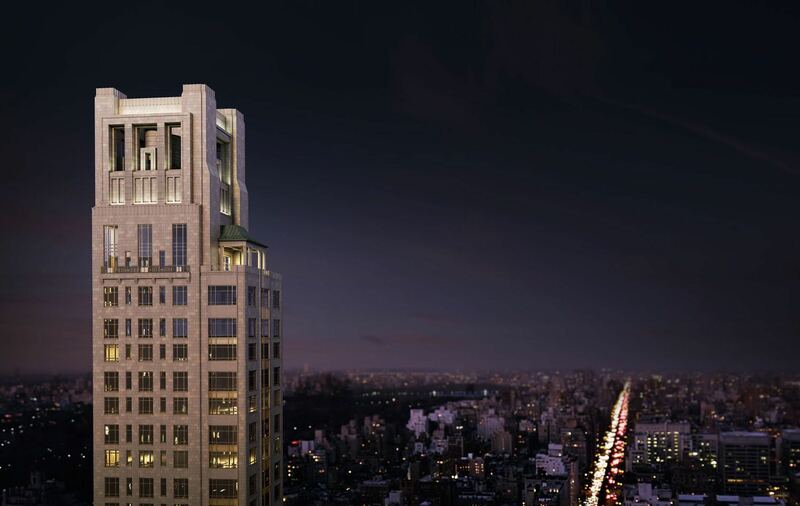 When complete, the building, developed by Zeckendorf Development, will rise 54 marketed stories to a height of 737 feet, according to the latest building permit. According to the development’s marketing website, there will be 33 condominium units spread across what the Department of Buildings says will be 178,010 square feet of residential space. That works out to an average of just over 5,394 square feet per unit. Of course, that is just the average. Among the units are several duplexes, marketed as a “home in the sky” spanning 9,100 square feet. Amenities will include a “salon” along with a garden and pool, according to the building’s website. The project’s Schedule A also lists a wine cellar, space for 21 bicycles, a meeting room and screening room, a fitness center, and a children’s play room. Completion is expected in 2017 or 2018. Park Sixty LLC and Global Holdings Inc. are also part of the development team and SLCE Architects is the architect of record. 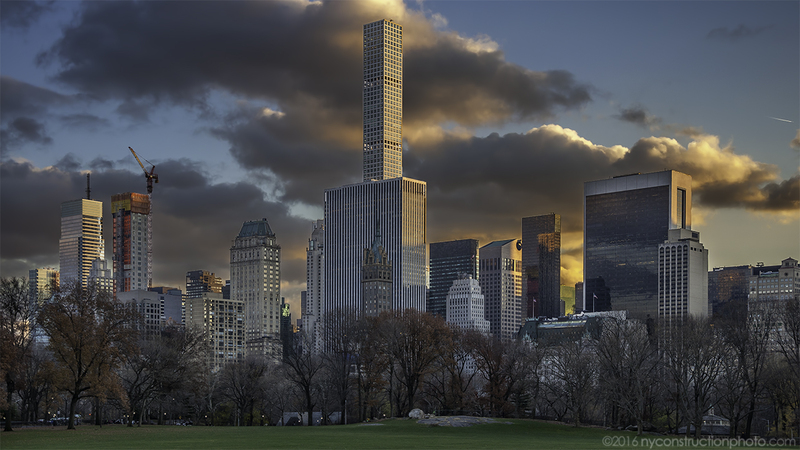 7 Comments on "Robert A.M. Stern’s 54-Story 520 Park Avenue Takes Its Place on the Skyline"
Standing up to the sky by 54-story structure tall column, prominent extraordinarily in the city views with its work. It’s looks like 45 stories now built, not yet top out, should be 51 stories. 45 stories are built, not yet 51, what’s are should be. 45 stories are built, but not yet 51 as should be! All any skyline needs to succeed is a Robert A. M. Stern tower. Good bless Robert Stern for the wonderful legacy he will leave our city. He has proven that new buildings can be sheathed in something other than cheap, reflective glass. These five building are true gems among all the boring boxed backdrop. I agree entirely. These masonry clad skyscrapers say all about the incomparable legacy of NYC rather than the bland generic glass boxes which could be anywhere from Dubai to Durban. R. A. M. Stern you are a great architect who has the courage to respect the past while building magnificent structures for the future!